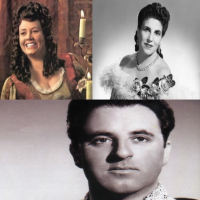 Tune in to Saturday Night At The Opera for a special tribute to three operatic titans who passed away recently: Licia Albanese; Carlo Bergonzi; and Cristina Deutekom. Each of these extraordinary singers contributed near definitive performances in their respective repertoires, and we will take a special look at each one's unique contributions to the world of opera. Stepan Atamian hosts.